Three new mixtapes came out this week. One by an up-and-coming rap artist in Mac Miller, another by an up-and-coming R&B;/Hip-Hop artist in Bei Maejor and one by an artist who received much hype in 2009 but then things fell apart, and now he is on a comeback, Charles Hamilton. I have listened to all three mixtapes and my favorite is Bei Maejor’s Upside Down mixtape. With several mainstream artists featured on it including Trey Songz, T-Pain, Drake and Keri Hilson, this mixtape should’ve really been Bei Maejor’s debut album, especially with Clinton Sparks producing it. Mac Miller also has a good new mixtape entitled K.I.D.S. I really enjoy several songs on this hip-hop mixtape that has some real chill songs as well as some upbeat songs that I hope to hear more of from this Pittsburgh native. My favorite songs on the mixtape are “Don’t Mind If I Do”, “The Spins” and “Nikes On My Feet”. Download: Mac Miller – K.I.D.S. 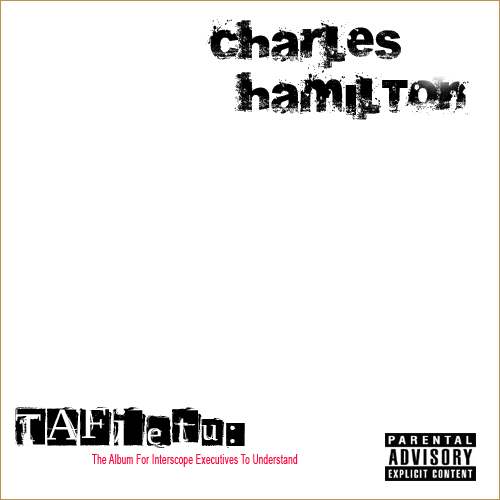 Recently Charles Hamilton put out the mixtape Tafietu which is considered an album by other bloggers since this was supposed to be his debut album until Interscope executives heard a couple of songs and decided to pull the plug. The mixtape/album is OK and the only song I can listen to constantly is “3rd and Goal” which if I think could be a single and possibly get radio play if Charles Hamilton didn’t have such a bad reputation lately (just released from a mental hospital, dropped from record label, etc.). Which mixtape do you enjoy the most? Tags: Bei Maejor, Charles Hamilton, Clinton Sparks, Interscope Records, Mac Miller, Tafietu, Upside Down, \"K.I.D.S\"